You won’t get it for less anywhere else. If you find a lower price from any other local company we will beat it by 10% of the difference. If you’re about to make a purchase from Oakville Window Washing. Tell us which competitor is offering the lower price. Provide us with a written estimate, web link or flyer for the service you would like to have performed. We will beat the competitor’s price by 10% of the difference. Here are a few terms and conditions. The price must be from a registered and insured business currently operating in the Oakville/burlington Area. Competitors’ prices must be in Canadian dollars and will be adjusted for any fees, taxes or other charges such as out of town travel fees. 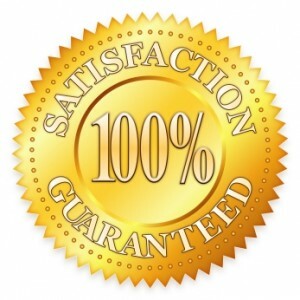 The terms and conditions of our “Price Beat Guarantee” are subject to change without notice. If you are not completely satisfied, please talk to our Business Manager. If you need more help, call 289-768-0511 for further assistance. How does Price Match Guarantee work? If you find a lower advertised price offered by a competitor on the same type of service, let us know and we’ll beat it by 10 percent of the difference! 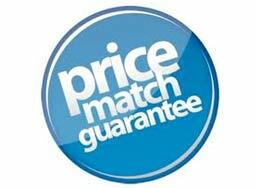 Which services can be used with price match guarantee? Pretty much every services we offer. Services must be identical. What is considered “proof” of price? The competitor’s current web-link, ad online or quote. We reserve the right to call the competitor to verify the lower price and availability of the service. A lot of competitors websites are not up to date in terms of current pricing due to industry price updates. Which services aren’t available for price match guarantee? They are all available for price match guarantee. Do coupons or rebates of competitors work with the price match guarantee? Are quantities limited on price-matched services? Yes, we may limit the quantities of price-matched services particularly if we are overbooked. How can i contact Oakville Window Washing if i want to price match a service?